LOCAL business owner Julia Renaud will be trekking a long way from home when she travels to Cambodia in October to help run workshops for disadvantaged teens. 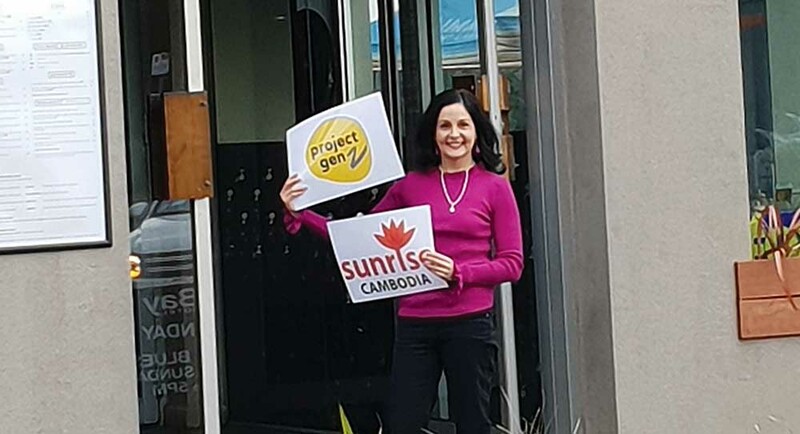 Ms Renaut will be travelling to help out at Sunrise Cambodia, an orphanage run by Order of Australia recipient Geraldine Cox. Ms Renaut said she is travelling with a group called project Gen Z to help young people find their feet and build financial independence. “We are going specifically to run workshops with 15-22 year olds on how to set up their own business and become self sufficient. Being a business owner, I like that we will be teaching them business skills so they can really make a go of their own lives,” she said. The cause of helping out in Cambodia is one that is close to Ms Renaud, given her close family ties to the area. “This is personal for me because my mother was born in Cambodia and I was raised with three Cambodian orphans in the family. My adopted sister Phuong Roden is a Cambodian orphan herself and she’ll be helping me with the fundraising event,” Ms Renaud said. Ms Renaud has paid her own expenses and will be holding a fundraiser at The Bay Mordialloc with 100% of the funds going to the children at Sunrise Cambodia. Musical act Jimi Hocking will be among the guests at the fundraiser, which will kick off at 5pm on 16 September.